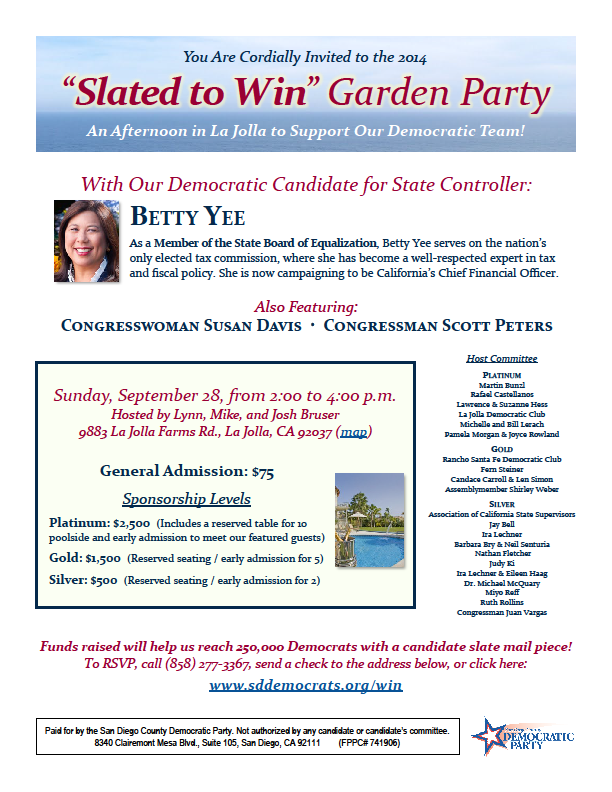 An Afternoon in La Jolla to Support Our Democratic Team! As a Member of the State Board of Equalization, Betty Yee serves on the nation’s only elected tax commission, where she has become a well-respected expert in tax and fiscal policy. She is now campaigning to be California’s Chief Financial Officer. Funds raised will help us reach 250,000 Democrats with a candidate slate mail piece! Sunday, September 28, from 2:00 to 4:00 p.m.